Dr. Herring is an attending emergency physician and associate director of research at Highland Hospital-Alameda Health System in Oakland. 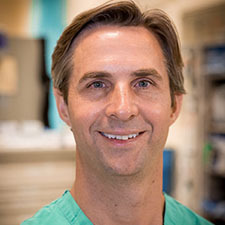 Herring is medical director of the hospital’s substance use disorder treatment program and attending physician at its interdisciplinary pain medicine program. He is principle investigator of the California ED-BRIDGE: Emergency Buprenorphine Treatment Project. His current research focuses on emergency department treatment of opioid use disorders and pain management. He and Dr. Meltzer discuss the ED-BRIDGE Program, the use of buprenorphine and MATs in general, and the role of the ER Doctor outside the ED. This podcast was produced and edited by Andrew Petrus. Dr. Aisha Liferidge, the Co-Director of the Health Policy Fellowship at George Washington University, is a board member of the American College of Emergency Physicians. Among other topics, Dr. Liferidge and Dr. Meltzer discuss complexity in the Emergency Department environment and expectations, social determinants of health, burn out, and expanding beyond the ED. A wide-ranging discussion with Dr. Jeff Kline, Vice Chair of Research in emergency medicine and a professor of physiology at Indiana University School of Medicine. He is the present Editor In Chief of Academic Emergency Medicine and Academic Emergency Medicine Education and Training. Among other things, he and Dr. Meltzer discuss the impact of the patient satisfaction survey era, time spent with patients, amount of CT scans, expansion of the ER, and the role of the ER doctor in the continuity of care. This podcast is sponsored by Novo Nordisk. Featuring Dr. Charlie Pollack, an Associate Provost for Innovation in Education at Thomas Jefferson University and Professor and Senior Advisor for Interdisciplinary Research and Clinical Trials, Department of Emergency Medicine, Sidney Kimmel Medical College of Thomas Jefferson University. Dr. Danielle McCarthy and Dr. Jesse Pines discuss how providers communicate with patients about medications. Dr. Fuller discusses Safer Sign Out, a patient-centered, team-based innovation developed by emergency physicians to improve the safety and reliability of end of shift patient "handoffs." Dr. Glickman discusses his work on the patient experience in the ED to create actionable information that can be used by providers to improve care. Dr. Raven discusses her research on the appropriateness of using discharge diagnoses as a basis for policies discouraging ED use and her thoughts on how we could be better delivering healthcare in the ED. Dr. Ian Stiell talks about clinical decision rules and how he began his work in this space to improve clinical judgment and avoiding tests that patients don't necessarily need. Dr. Leana Wen talks about her new book, "When Doctors Don't Listen: How to Avoid Misdiagnoses and Unnecessary Tests" discussing her inspiration and hitting on some of the key points relating to patient safety and testing. Dr. Jay Schuur discusses cost consciousness with GWU MD candidate Chris D'Avella including the implications for providers and education for medical students and residents. Dr. Wes Fields and Dr. Jesse Pines talk about the latest work of the Emergency Medicine Action Fund highlighting their new projects including a bibliography that serves as a road-map for acute care health policy researchers. Dr. Jennifer Wiler and Dr. Jesse Pines talk about bundled payments for episodes of care and the implications for patients and providers in the ED. Dr. Adit Ginde and Dr. Jesse Pines talk about the relationship between access to primary care and emergency department use at the systems level. Dr. Lisa Calder and Dr. Jesse Pines talk about how emergency physicians make disposition decisions, where vulnerabilities lie for decision-making errors and how these might be addressed to improve patient safety. Dr. Patrick Conway, Chief Medical Officer for the Centers for Medicare & Medicaid Services (CMS), discusses the Value-Based Purchasing Program focusing specifically on the Hospital Value-Based Purchasing Program and the Physician Quality Reporting System and their impacts on the ED. Dr. Zackary Meisel and Dr. Pines talk about the controversial role of narratives in emergency care for patients, providers and policymakers. Dr. Ellen Weber and Dr. Suzanne Mason discuss the United Kingdom's Four Hour Rule, the effects it had and the implications for the United States. Dr. Brendan Carr discusses regionalization of hospitals, co-opetition of healthcare and the need to focus on population level health. Dr. Nathan Schlicher discusses how emergency department stakeholders came together to change Washington State's 3 visit rule for "non-emergent conditions" that would deny payment and reimbursement to providers and patients. Dr. Richard Hunt and Dr. Jesse Pines join us to discuss the role of healthcare coalitions in emergency preparedness. Dr. Ricardo Martinez and Dr. Jesse Pines join us to discuss the need for emergency departments and healthcare systems to transition to systems thinking.